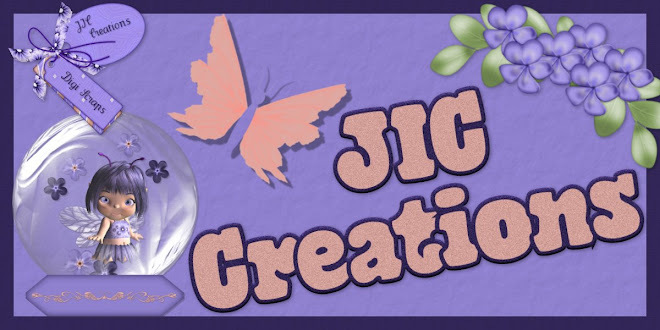 JIC Creations: Blog Trains Galore & CT Layouts! 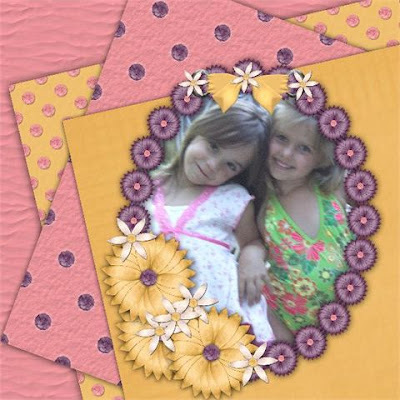 Above and below are layouts by Deborah from Scrap It Sassy using my new Floral Kit! 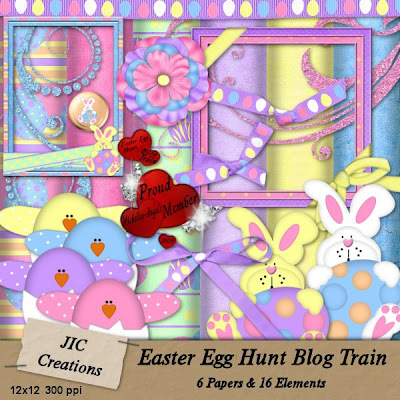 The first blog train freebie I have for you is Michelle's Angels Easter Blog Train. Be sure to catch all the stops as a couple of them have coupons in them. I've included the contest rules in my download. Read it and find out how to win a Gift Certificate for the store! Or you can head back to the store blog for the complete list of participants. Coming To My Stores Soon! 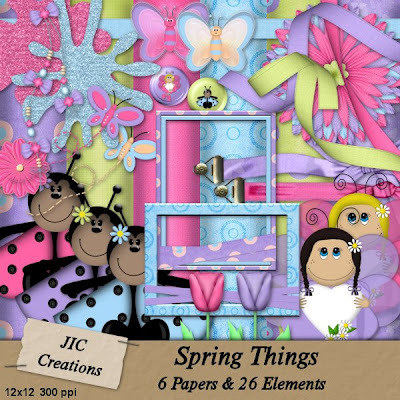 And last, but not least, is DST's April Blog Train, Spring Blossoms. You can download my portion here. or you can return to the station for a list of all participants. What a great bunch of freebies today!!! I'm SO thankful you have a direct DL instead of 4shared, too! Thanks so much for your shares! Love them!! thank you! Love both spring things & easter egg hunt! 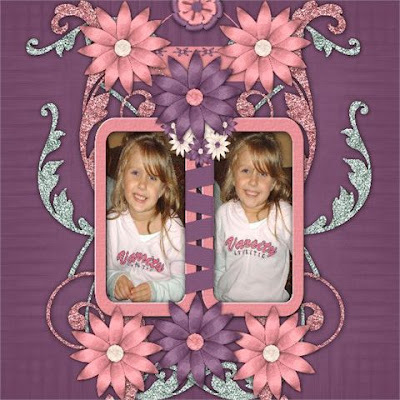 Thank you for sharing, Love it! thanks so much! I stopped by on the Easter Hunt blog train. oh, so adorable! Thank you very much! 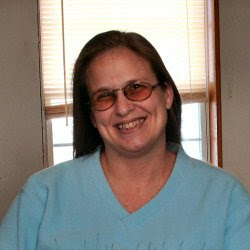 Thank you so much for sharing your wonderful contribution to this blog train. Yikes! I got pulled away from the 'puter and can't remember if I gave proper love here! So lots of hugs to you for sharing this great kit! Thank you for sharing! This mega kit is so delightful. Wow, awesome kit and I really do appreciate each one of you designers. Thanks! Such a nice contribution to the train. Thank you very much. thank you so much for your contribution . Thank you for sharing your talents! Wow, what a great bunch of blog trains. I came riding the Spring Blossom train. Thank you for the mini. thanks so much for some wonderful kits! 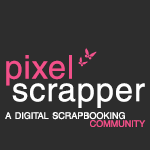 Thank you for your wonderful part of the Spring Blossom blog train. This is so much fun. Thank you for the blog train goodies.